SCOTTSDALE, Ariz. — Axon (Nasdaq: AAXN), the global leader in connected law enforcement technologies, today announced Fort Worth Police Department (FWPD), a Major Cities Chiefs Association member, and Nevada Highway Patrol, a state and provincial agency, as the first agencies to equip officers with Axon's new TASER 7 weapon. FWPD placed orders for 1,193 TASER 7 devices and NHP placed orders for 889 TASER 7 devices. These orders were received in the third quarter of 2018 and will ship in the fourth quarter of 2018. 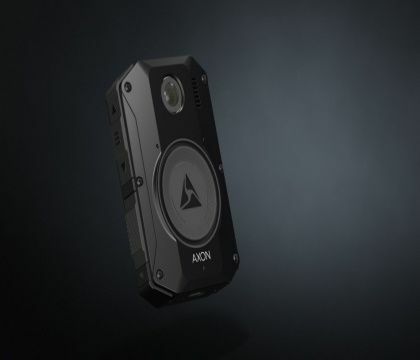 Axon announced its next-generation TASER 7 device at the International Association of Chiefs of Police conference in Orlando, Florida. The TASER 7 is the most effective TASER weapon yet, with services that are seamlessly integrated into Axon Evidence (Evidence.com). All TASER 7 units ship with battery docks that recharge the batteries and upload weapon usage data to Axon Evidence, similar to the "dock and walk" system that deploys with Axon body cameras. "We appreciate that Axon listens to its customers to continually develop and improve their products," says Fort WorthPolice Department's Chief Joel Fitzgerald. "Equipping our officers with this next generation TASER weapon is an important tool to help de-escalate situations that could otherwise end in tragedy." "Axon has always been a forward-looking company, so we are thrilled to be one of the first agencies to deploy the new TASER 7," says Nevada Highway Patrol's Colonel John A. O'Rourke. "Our officers are faced with life and death situations on a daily basis. The TASER 7 offers them a greater success of achieving a positive outcome in each situation without the loss of life." To learn more about the new TASER 7 visit: www.axon.com/taser-7.